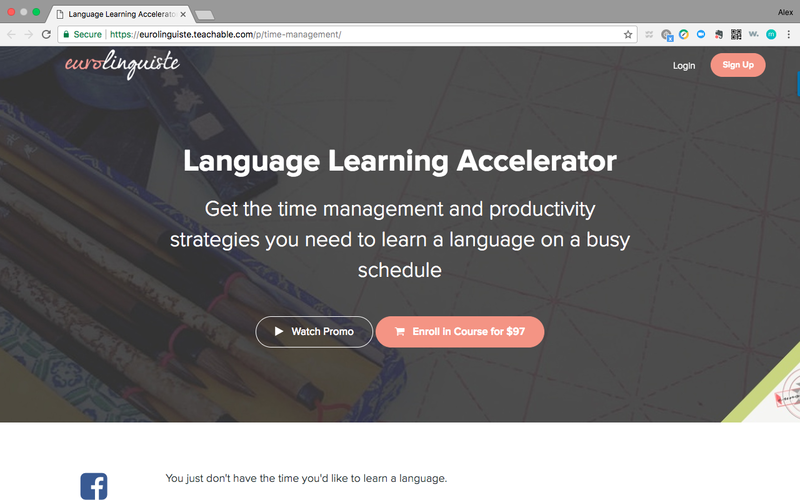 Language Learning Accelerator — Why You Should Get It! 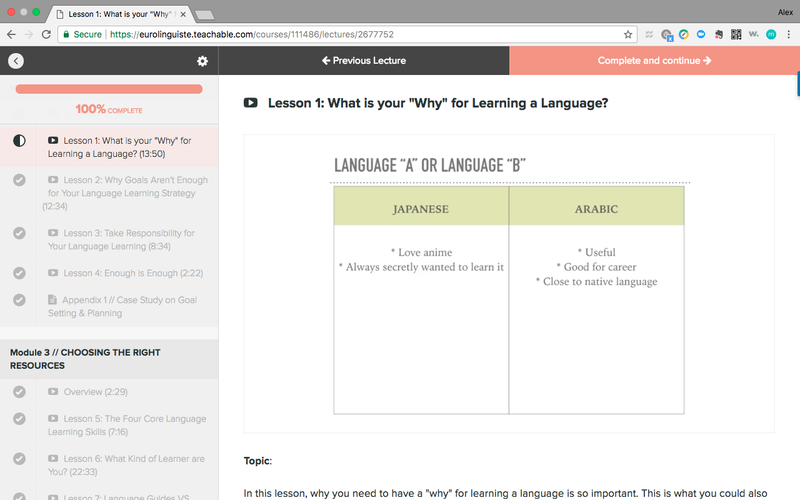 Language Learning Accelerator — Why You Should Get It! 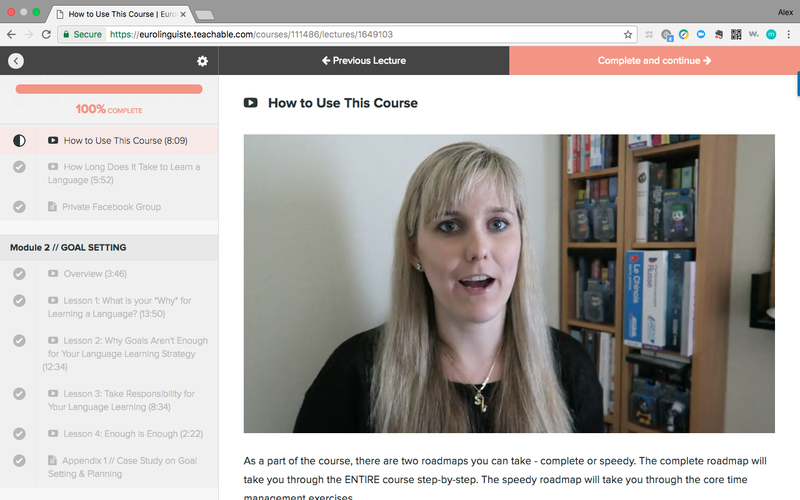 My thoughts on Eurolinguiste blogger Shannon Kennedy’s cool new course! Do you ever wish you could just learn a language faster? Do you wish you could maintain your motivation over a long period of time? Do you think that you’re just not good at learning languages because you’re not doing it right? Shannon Kennedy’s new course Language Learning Accelerator aims to provide an answer to these challenges and more. 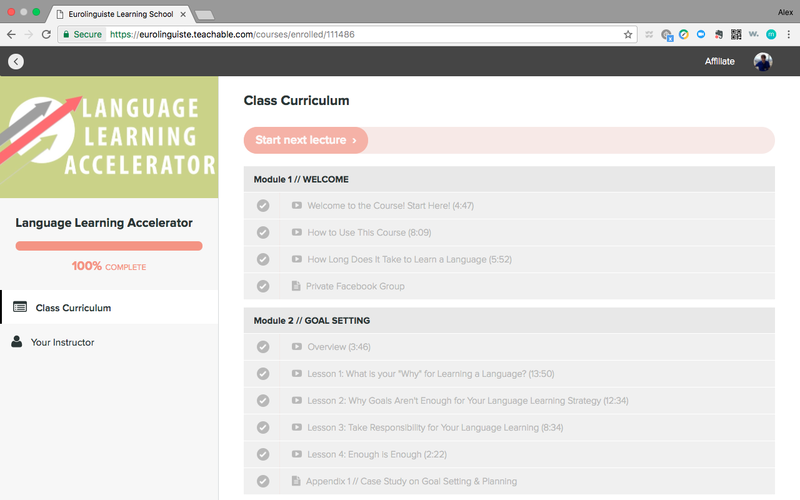 What is the Language Learning Accelerator? Why should I get it? The Language Learning Accelerator is a time management and study planning course designed for language learners. The objective of this course is to show you how you can make time to learn your target language(s) and how to use it most efficiently. Due to the unique challenges of the language learning process (speaking for myself from 11 years of language learning experience and much trial and error and many successes and failures), this course is much needed to highlight the common issues language learners face and showing you how to take control of those issues. Shannon doesn’t want you to sacrifice a lot of your time or things to learn a language, but instead she wants to show you how to use the time you already have better. Specifically, you’re going to learn how to set clear goals to learn a language and follow through on them. 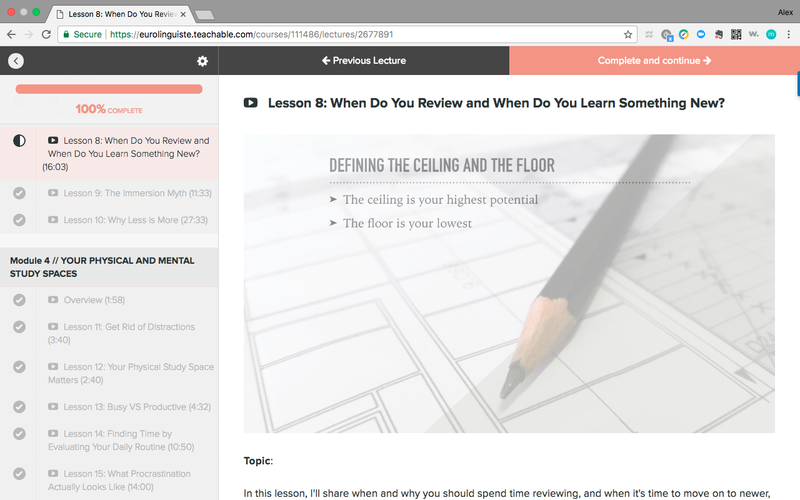 You’re going to learn how to learn and how to take ownership of your own learning process. You’ll learn to get really organized! You’re going to also have to learn exactly what kind of learner you are! Shannon emphasizes in this course repeatedly that the best routine is the one that works for you. She really wants you to figure out with crystal clarity what it is you want to get out of your language learning. She shows you how to identify your strengths and weaknesses as a language learner and in time management and how to use your strengths to your advantage. Through all of this she wants you to become a more productive language learner. The first half of the course focuses more on setting goals and finding resources for learning a language and getting organized. The second half of the course focuses on managing your time and putting what you’ve learned into immediate use. In addition there are supplementary materials and three webinars included with the course once you are finished. How does this course stand out from other language courses? Shannon is an experienced expert in her field — Shannon knows what she’s talking about and you don’t get any doubt about that. She’s lived through her language learning experiences and being a veteran, she’s ready to use her knowledge to help others learn easily what she had to learn the hard way. Very clear roadmap for the course — Literally the roadmap is completely clear, as it’s a comprehensive PDF in included in the course! There are checkmarks that you can check off each time you make further progress, and it’s highly advisable that you print out this roadmap with all of the lessons included. It’s highly practical — This isn’t just one of those courses that will just give you a lot of information. It definitely does that, but the real gem of this course is that she shows you that you need to take action and chart your own learning course. It’s highly comprehensive — Everything about this course is highly detailed and organized. What’s not to love about that? This course explores the entire process of learning a language in every minute detail. If I were to make a language course, I would definitely guide people in this kind of step-by-step manner through the process as well! The information is divided up into short lessons (usually under 30 minutes each) — I love how short these video lessons are!!! Most of them are between 2 and 25 minutes long, however there is one video that’s nearly 28 minutes long, yet all of them are under half an hour in length! Much shorter than your average language class or lecture and certainly very engaging as well! No nonsense! It’s told like it is! — Shannon gives the gritty reality of the everyday life of the language learner. Language learning isn’t an easy thing to do. Not only does she tell you to take complete responsibility for your language learning, but she also shows you exactly how you can do it in a way anyone could understand! There’s an ebook as well — Shannon includes a comprehensive ebook as part of the course to download and read in conjunction with it. It’s well-put together and follows the course very closely. Where does this course need improvement? It’s hard for me to tell where this course needs improvement, as it’s really good. However I think a couple more webinars should have been included with other language experts’ advice. In addition, more case studies should have been included in the course (from Shannon on other languages and/or resources. It would’ve been nice to hear more about her process with several of her languages). While the tools section was quite comprehensive, there could have been some how-to videos and texts (e.g., how to use project management tools, how to use cloud-based document management, how to use apps, language learning tools, etc. ), though Shannon states in the ebook that she’s eventually going to add these. My rating: 4.9/5! A stellar-quality course! This course is all about learning more effectively so that you can save lots of time and money in the future when you set off to learn the language(s) you desire. If you want to become a more efficient language learner, this course is available for only $97 on Teachable. Shannon also offers a Language Learning Accelerator Lite course for $27 for those who want the essentials of what this course offers. If you feel Language Learning Accelerator is right for you, make sure to click on this link to purchase it. If you enjoyed reading my article, make sure to give it a like and follow me for more content! Make sure to also check out Shannon Kennedy’s website Eurolinguiste to follow her content! Thanks! What are your biggest challenges in language learning? Do you struggle with time management and productivity and if so, what are you doing to improve that? Let me know in the comments section below! Language/Book/Travel Enthusiast. Language Tutor. Freelance Translator. Writer. Learning Graphic Design/Copywriting. Seeking Opportunities in E-Learning.